Our London work experience programme offers students the chance to meet people, become part of a team, learn new skills and practise English. Students improve their employability and maximise career prospects by learning English and gaining valuable work experience in one of the most exciting cities in the world. You will be welcomed in a local business, a company or a store and you will be given the opportunity to observe professionals, learn from them, listen to their English, practise your oral or written communication skills, participate in the daily tasks to practise. This is not a paid job but an unpaid internship. You will be able to value this practical experience in the future when you will look for a job. This international work experience in English may make the difference for a potential employer. Apply now for your London work experience! Download the dedicated London work experience student profile. What does the work experience in London include? What better place to study for your Work experience programme than in one of the most exciting and dynamic cities in the world! London is home to some of the best museums, art galleries, shopping, theatres and restaurants in the world. London is also the home of the City! Studying at Nacel English School means you are at the heart of the capital’s social scene. Many of London’s famous landmarks such as the British Library, British Museum, Big Ben, Buckingham Palace, the London Eye and Trafalgar Square are located only a short underground/bus journey away. Everyone should experience London at least once in their life! Nacel English School is a smaller institution; therefore our teachers have more time to dedicate to your individual academic progress. You will receive increased personal attention in and out of class. This initial personal attention is fundamental to your later success at the workplace. We will continuously monitor your academic progress, and give you regular one-to-one tutorials to discuss and advise you on how to improve further. 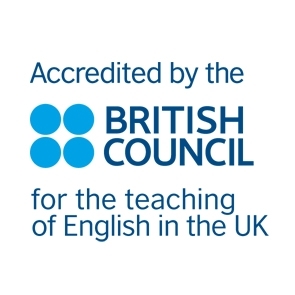 We have decades of experience in teaching English to international students. Our teachers understand the methodology necessary to enable you to learn the study and communication skills required for your work experience in London; therefore, helping you to reach your learning goals and preparing you thoroughly for the challenges of a sucessful professional life. Being a student at Nacel English School involves much more than studying in the classroom: you will practise English at the workplace. You will benefit from our effective combination of inspiring classroom lessons linked to a work internship that will help you to improve your employability. This integrated language and work programme allows you to maximise your language and professional learning potential rapidly in a fun and interactive environment. We are dedicated to the sucess of your London work experience: share with us your project, your needs, your requirements and let us find the most suitable work placements for you!